Affordable appropriate tech simultaneous interpreting equipment. Need I say more? This is so obviously a wondrous and dearly necessary thing. 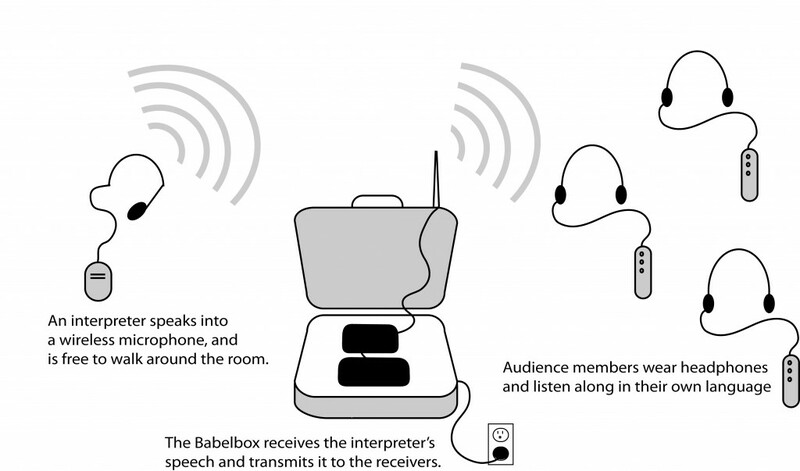 Check it out, from the uber activist geeks with the mostest, the Intergalactic Interpretation Collective, it's the ...... babel box! Great name or what? They provided the equipment for the recent US social forum. See the set up below, and their site here. who is the maker of the babel box I have been searching all over and can't find a website to purchase device??? ?